What is an ATA case? An ATA-300, Category 1 case is built to withstand at least 100 trips of normal airline cargo handling. The Air Transport Association lists the specifications that a manufacturer must meet to satisfy this requirement. You need an ATA case to avoid being one of the many companies that lose millions of dollars every year shipping product that gets damaged because it isn’t properly packed for transit. 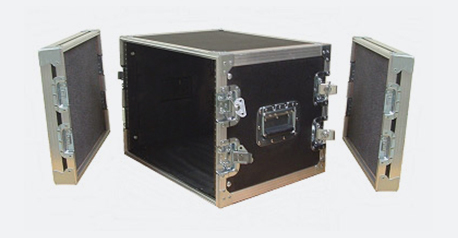 An ATA-300 (Category 1) guards your gear every time it is shipped against shipping abuse. Let us know the exterior size you require. Any size is possible. 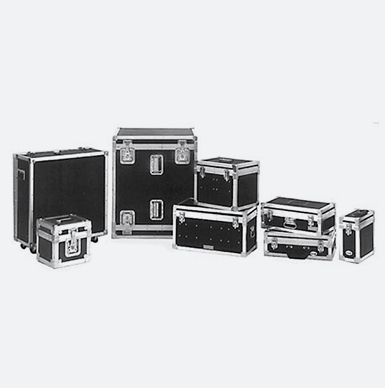 CH Ellis aluminum cases have carried everything, including satellites, 450-lb cameras, tools, delicate electronic instruments and medical supplies. Once we determine the case size, we can work on the interior. You can have any style interior from empty to foam-lined, foam-filled or customized. Or, you can have us design a special plastic or metal insert. You can find examples in our Packaging Solutions pages. 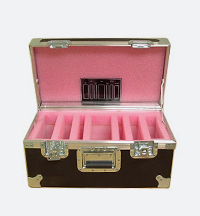 The cases can be anodized or powder-coat painted. You can choose from surface mount latches or valance spanning recessed latches, padded handles or spring-loaded handles for shipping, and from padlock loops to combination or draw bolt locks. Whatever you need, we can provide. Recessed, spring loaded handles with rubber grip sleeves. Ball corners to absorb the brunt of loading and unloading equipment. ¼”, 3/8” or ½” furniture-grade plywood. Exceptionally deep tongue & groove closure to resist dirt and moisture. 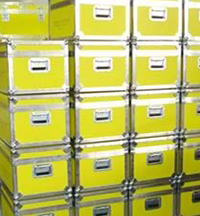 Packaging experts who know how to protect your equipment with the best custom interior to ensure safe transport. How do I purchase custom cases from C.H. Ellis? To get started, choose one of the options below. One of our experienced sales reps will be happy to talk you through the process. Gathering the info we need. A few key questions to get the process rolling. And then we’ll follow up with a call.